Artisan Pitas Come to the UK: Nina Bakery Launching High Quality Stone Oven Pita Range at lunch! Artisan Pitas Come to the UK: Nina Bakery Launches Their High Quality Stone Oven Pita Range at lunch! Nina Bakery, a leading producer of artisan pita bread, launched its new range of ‘no tear’, stone oven Artisan Pitas in the UK at the recent lunch! 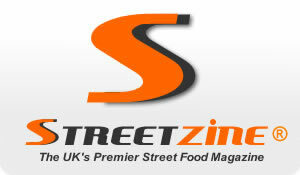 exhibition – the United Kingdom’s leading contemporary food to go show. A specialist in Artisan Pitas, with 80 years’ experience baking, Nina Bakery is known throughout Europe for producing clean label breads that do not tear easily and this new range is no exception. The bakery’s show centerpiece is a cocktail size pita, which has been designed specifically for appetizers, tapas and cocktail hors d’œuvres. At just 6cm, the micro pita demonstrates that when baked well even the smallest of pitas will remain in tact. A characteristic moist and fluffy texture – the signature of great pita – the new range is fully baked frozen Nina Bakery Artisan Pitas are available in a selection of sizes – the 6 cm, 18 gram ‘cocktail’, to the 18cm, 200 gram XL – and come in a variety of shapes. Like all Nina Bakery products, the new range of Artisan Pitas are made using only traditional, artisan methods for a higher quality bake, the result is a superior pita of restaurant quality. Slow food process and stone oven baked, the pitas, are produced using only the purest ingredients with no preservatives and additives. Baked with minimum quantities of yeast and no added sugar or fat, Nina’s Artisan Pitas are clean label which means no preservatives and improvers (E numbers) are used. Nina Bakery is a family-run business which has been operating for 80 years, and distributes from the Netherlands to customers across Europe.